In the modern world, it has become extremely difficult to survive without a loan or any other form of credit whether at a personal or at a business level. Due to this, many lenders limit the number of borrowers that are granted loans on a daily basis. One of the greatest factors that these lenders consider is your personal FICO® score. Unknown to many, a higher credit score means that you have a higher ability to manage debt while a lower score means you are considered a higher risk. Therefore, a personal FICO® score plays a major role in your life since lenders check with personal credit reporting agencies to establish your loan repayment ability. It is also important to know that whenever you need funding to launch the business of your dreams, your personal credit will be taken into account by banks and lenders before granting you any form of loan. This truly reveals how difficult it has become to obtain financing with a bad credit score. If you currently have a bad credit rating, you can still improve on it by applying several credit building strategies. Your FICO® credit score keeps fluctuating depending on how hard you work to improve on it. If you pay all your bills on time, repay your loans on time and stop using all the credit given to you, it means you still have a big chance to raise your credit score. There are so many benefits that come with improving your FICO® credit score especially when it comes to funding your business. Here is a look at what a higher personal credit score can do for you especially when it comes to business financing. As a person who wants to start a small business, one of the traditional sources of capital are bank loans. As a startup, your business won't have a business credit score that money lenders can rely on to determine whether or not your company is creditworthy. This means that the only way they could make this determination is by assessing your personal credit score. Thus, whenever your personal FICO® credit score is above 700, then most likely the loan may be approved. However, when you have a poor credit score ( less than 680) it will be very difficult for you to obtain a business loan. Many mortgage lenders will be more likely to extend better mortgage rates for you to refinance your home when you have a good FICO® score( between 680 and 800). This is because it tells the bank how responsible you are when it comes to loan repayments. Thus, the bank could allow you to negotiate on the interest rate as well as the repayment period since they are aware that automatically you will repay the whole mortgage. The same applies when you want to acquire a commercial property. If you are planning to establish a large business enterprise, it is expected that you either purchase or lease a car for transporting your goods. 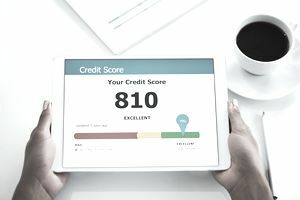 A higher personal credit score will make many automotive dealers anxious to sell a car to you since you are more than likely to get approved for financing. For a business car lease, you will be able to negotiate a better rate and when it comes to buying, the price could be lowered. This will, in the end, save your business a lot of money compared to a person whose personal credit score is less than perfect. If you are going to apply for a personal loan from a commercial bank or a privately owned institution, the only thing that will be assessed before being given the loan is your personal credit score. A higher credit score places you in a position where you can negotiate on the terms and conditions of your loan. A strong credit history can make you have a higher credit line, be given a lower interest rate or be issued with an attractive loan repayment package. Another reason why improving your FICO® credit score is important is because many insurance companies work on the assumption that the lower the score, the higher the risk of getting involved or rather causing an accident and hence the higher the car premiums. This means that you will pay more insurance premiums compared to a person with a good credit score. If you have a business, therefore, it means that the premiums will increase the cash outflow and could impact negatively on the day to day running of your business.